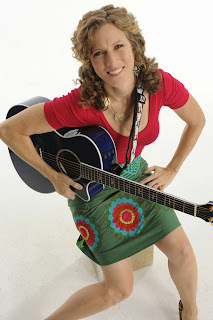 Even though my kids have outgrown Laurie Berkner, I haven't! Her songs are so catchy and fun, they're still in my head and I still secretly sing them. Laurie is coming to San Francisco for her solo concert tour, The You and Me Tour. It will be Laurie, her guitar, and you! This former preschool teacher turned her indie band night job into her day job, which is good for all of us. Get tickets to the show. You won't be disappointed. Tickets: $25-35 (with $100 VIP packages available, with meet and greet). Get tickets at Ticketmaster.